Robert Porter Allen camped out for months at a time to study roseate spoonbills in Florida Bay. He used it as his base to study roseate spoonbills, the spectacular wading birds that weren’t coming back after plume hunting like egrets and herons were. He wrote books for a popular audience, including On The Trail of Vanishing Birds and The Flame Birds, about roseate spoonbills. The former book, which details his search for the nesting habitat of the whooping crane, won the Burroughs Medal — a major prize for nature writing. He was eminent enough to appear on the popular TV game show “To Tell The Truth” in 1962. Allen moved to Tavernier with his wife and kids in 1939 to look into roseate spoonbills and why those birds were not recovering after protection like some of the other wading birds of the Everglades. He would camp out for months on the mangrove islands where the birds nested to learn more about them and document their life histories. Besides roseate spoonbills and whooping cranes, the other bird Allen focused on during his career was the American flamingo. He traveled frequently to the Bahamas and other parts of the Caribbean to study them and wrote a 285-page monograph that is still a frequently-cited authority on the flamingo, said Jerry Lorenz, who now heads the Everglades Science Center that Allen founded. But Allen is largely responsible for the belief — now thought to be mistaken — that flamingos seen in Florida Bay and the Everglades in the mid-20th century were all escapees from the Hialeah Park racetrack. The racetrack’s owner imported a flock from Cuba in the 1930s and they began breeding. Lorenz said it would make sense to assume those first flamingos seen mid-century might be escapees — but that belief was never tested through generations of biologists. Lorenz was born a few days after Allen died in 1963. He said he feels close to Allen, not just from decades of studying roseate spoonbills himself but from working in the same office where so much of Allen’s work survives. 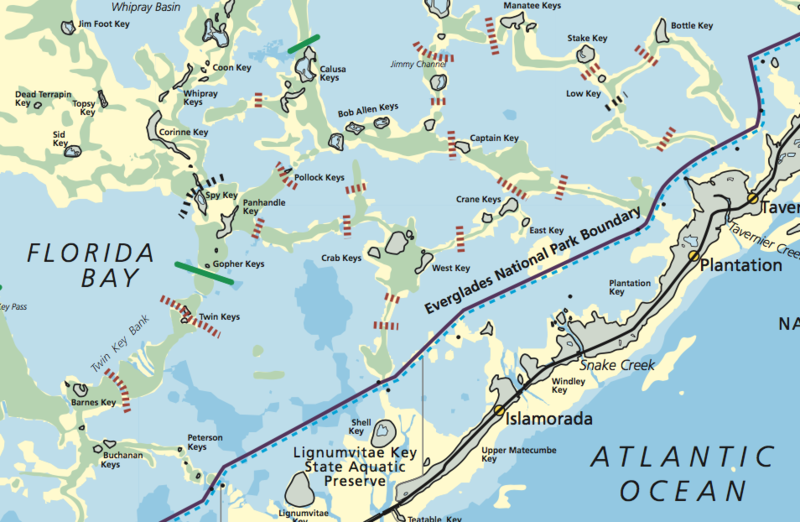 Not long after Robert Porter Allen died, three islands in his beloved Florida Bay were named the Bob Allen Keys in his honor. Concluding that Allen was probably wrong about the flamingos gives him “mixed feelings, but mostly I’m a little bit giddy,” Lorenz said. Allen was right about so much — when he was working in such an early period of field biology — that Lorenz said he gets a kick out of seeing that Allen could be wrong in a rare case. Lorenz said Allen does not receive enough recognition for his pioneering work in field biology, and for his research and advocacy that helped make sure that Florida Bay was included in the boundaries of Everglades National Park when the park was established in 1947. Allen’s most lasting — and appropriate — memorial may be out in Florida Bay, the area he loved and fought to protect. Less than a year after he died, three large islands in the bay were renamed. They are now the Bob Allen Keys.